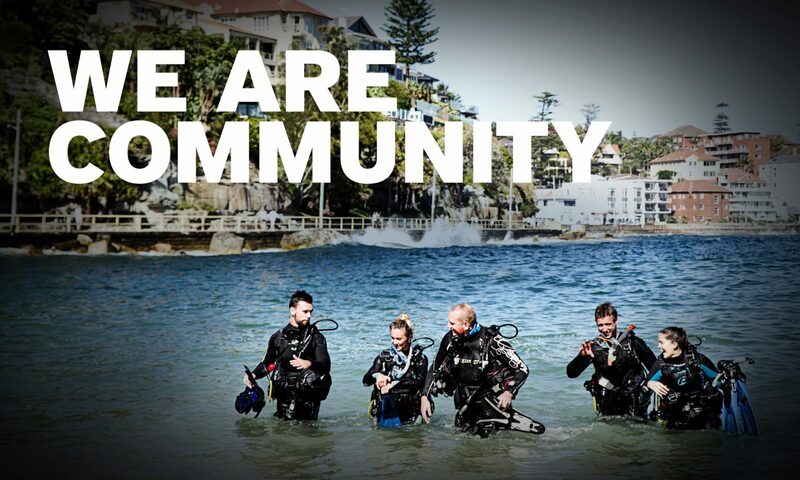 PADI Course Director and Owner of Dive Centre Manly, Richard Nicholls, was recently recognised for 25 Years of PADI Professional Membership at the PADI Asia Pacific headquarters at Frenchs Forest. “25 years as a PADI Professional Member is an outstanding achievement and a testament to the commitment shown by Richard throughout his diving career. He’s a credit to the industry and his ongoing enthusiasm for diving, dive travel and technical diving is a tribute to his positive approach, in both his professional and personal life”. Richard began diving in 1977 and emigrated to Australia from the UK in 1983, working as a golf pro in Sydney with diving as his primary recreational pastime. Richard was offered an opportunity to run a snorkel and dive program for guests on board a cruise liner travelling around the South Pacific, which he accepted. From there his career in diving flourished and 25 years later – he is still working his dream job. Since becoming a PADI Instructor in 1988, Richard has earned numerous PADI Instructor and Instructor Trainer ratings, including his PADI Course Director rating in 1995. His passion for technical diving sees him as one of Australia’s most knowledgeable and best credentialed Technical Diving Instructor Trainers in the country. Richard was involved with the initial launch of enriched air diving in Australia as well as the early rebreather experiences in this country. He continues his personal diving education today – with plans to add Instructor Trainer credentials to his Hollis Explorer and other rebreather qualifications – while remaining active with open circuit technical and recreational diving programs. Diving has taken Richard to many parts of the globe with his favourite international dive sites being Papua New Guinea for reefs and Truk Lagoon for wrecks. At home in Australia, Richard has dived far and wide and classes dive sites Rowley Shoals (off Broome, WA) and the SS Yongala (Townsville, QLD) as his favourites. Please join PADI in congratulating Richard on achieving 25 years of service as a PADI Member.